1634 - Pasquier Quesnel, French theologian. 1860 - Owen Wister, American author credited with investing the western novel, with the publication of his iconic book, The Virginian; he also wrote nonfiction and biographies. 1903 - Thomas Dionysius Clark, historian, professor, and author of a landmark history of Kentucky; he was a champion for historic presservation, credited with saving from destruction a large portion of Kentucky's printed history, which later become a core body of documents in the state archives. 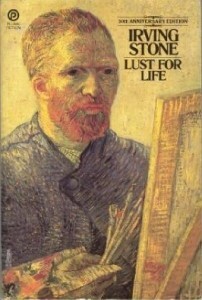 1903 - Irving Stone, American writer who specialized in biographical fiction, best known for books on artists Vincent Van Gogh (Lust For Life) and Michelangelo (The Agony and the Ecstasy). 1915 - Jerome Lawrence, American playwright and author who helped create Armed Forces Radio. 1916 - Natalia Ginzburg, Italian short-story writer and political activist. 1917 - Arthur Laurents, American playwright, stage director, radio writer, screenwriter, and author of U.S. Army training films; his best known works include West Side Story and Gypsy. 1921 - Leon Garfield, British author of historical fiction for children; he was also a screenwriter who adapted Shakespearean plays into animated television programs. 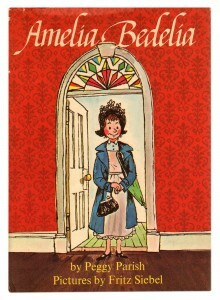 1927 - Peggy Parish, American author of children's books, including her beloved series "Amelia Bedelia"; since her death in 1988, the series has been written by her nephew, Herman Parish. 1931 - E.V. Thompson, British historical novelist, short-story writer, and nonfiction writer who was formerly in the Navy and on the police force; he often used the pseudonym James Munro. 1936 - Pema Chödrön, American Buddhist nun, author, and teacher. 1940 - Susan Howatch, English author of historical and domestic fiction, often with religious and philosophical themes; she is especially known for generational sagas. 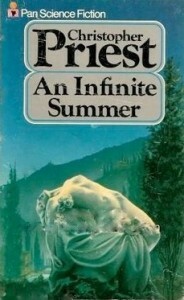 1943 - Christopher Priest, award-winning British author of novels, short stories, radio and television scripts, biographies, criticism, novelizations, journalism, and children's nonfiction. 1949 - Edward Graydon Carter, Canadian-born American journalist and magazine editor and founder. 1949 - Brian Sibley, English writer of radio dramas and documentaries. 1952 - Jeffry P. Freundlich, American playwright and crime novelist who uses the pen name Jeff Lindsay; his wife Hilary Hemingway coauthored many of his early published works. 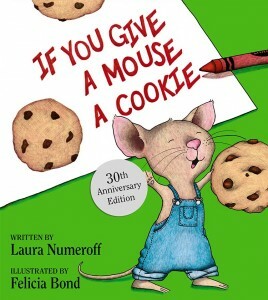 1953 - Laura Numeroff, American children's author, best known as for If You Give a Mouse a Cookie and its sequels. 1958 - Joe Keenan, Emmy Award-winning American screenwriter, television producer, and author, sometimes referred to as a "gay P.D. Wodehouse." 1959 - Tom Wujec, Canadian author, editor, and lecturer on topics relating to creativity, innovation, and technology. 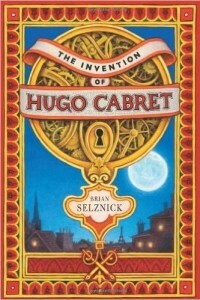 1966 - Brian Selznick, Caldecott Medal-winning American author and illustrator of children's books; his grandfather was a cousin of Hollywood producer David O. Selznick. 1974 - Aaron Becker, Caldecott Honor-winning American author and illustrator of children's books. 1976 - Ranj Dhaliwal, controversial Indo-Canadian author of crime fiction.